Unhappy, the children of those times! Seldom will they receive the sacraments of Baptism and Confirmation. As for the sacrament of Penance, they will confess only while attending Catholic schools, which the devil will do his utmost to destroy by means of persons in authority. “In those times the atmosphere will be saturated with the spirit of impurity which, like a filthy sea, will engulf the streets and public places with incredible license…Innocence will scarcely be found in children, or modesty in women. Are not these the most astonishing revelations you have ever read? I do not know why they are not more widely known. May God grant you many graces and especially the grace of final perseverance. In 2011, I think January or February, the 400th anniversary of this apparition will occur. The image of Our Lady of Good Success was painted by two angels. I agree, Terry, but I wonder if the reason could be that "only a few" will remain. A holy remnant. It amazes me how I find and come across certain websites like this. Only by the Holy Spirit, I believe. By God's grace, my eyes were opened 5.5 years ago to return to the Catholic Church, to be fully 'converted' to the Fullness of Truth and to see, know and understand the CC to be the Church Jesus founded. It was nothing I did on my own, but by such wondrous grace, my heart and mind were enlightened. I pray for lost souls, for poor sinners everywhere in the world, the Universal Church and within my own family. When Jesus said, "When I return, will I find faith on the earth" one has to wonder what that means. I just praise God for the gift of His grace and opening my heart/mind to Truth. 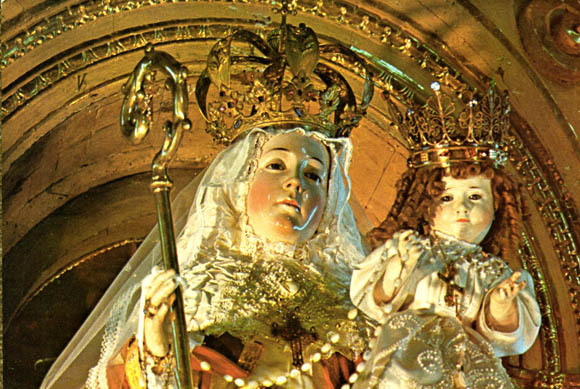 I hope many will understand the warnings of Our Lady. I will post this link on my facebook wall and pray for many souls today at Mass.